Looking for the Best Thanksgiving Recipes, Jersey City? Thanksgiving can often get overwhelming with all of the cooking to do, the timing to get right and your friends and family expecting a delicious meal. 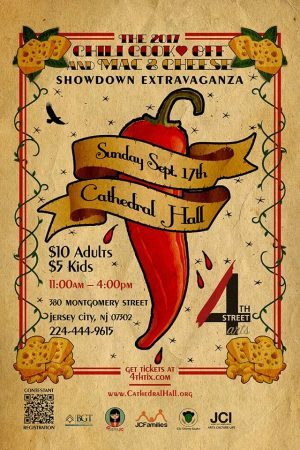 Furthermore, it can be just as challenging deciding what dishes to prepare for the big day! There are numerous options to choose from and so many different tastes to cater to. We have put together a list of some super great Thanksgiving recipes to help get you started on your preparation. Looking for the Best Thanksgiving Recipes, Jersey City? Well, we have got you covered! Sweets aren’t just for dessert on Thanksgiving. Try this sweet candied yam recipe. It has things ling spicy ginger and toasted marshmallows to make it even more delicious. Another sweet and savory veggie dish is a great way to please the adults and also entice the kids to eat their veggies on this indulgent day. Plus, it is only 4 ingredients and so simple to whip up fast. 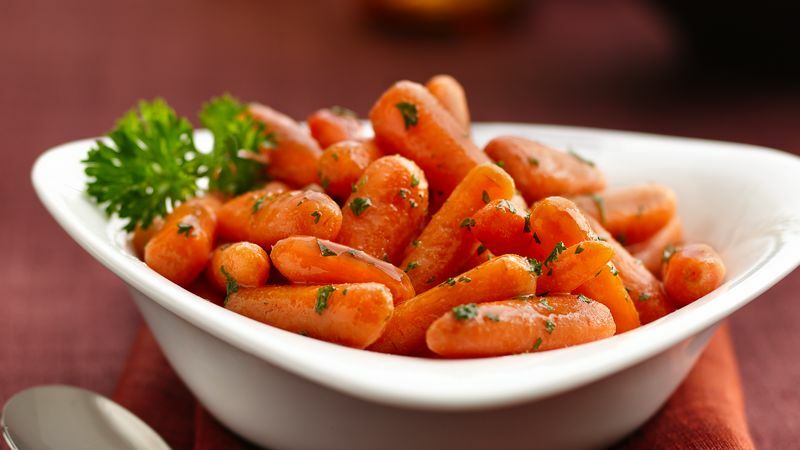 If you are looking for the best Thanksgiving recipes, these carrots are definitely one. Mashed potatoes are a must on Thanksgiving and these cream potatoes are great because you can prep them in advance. 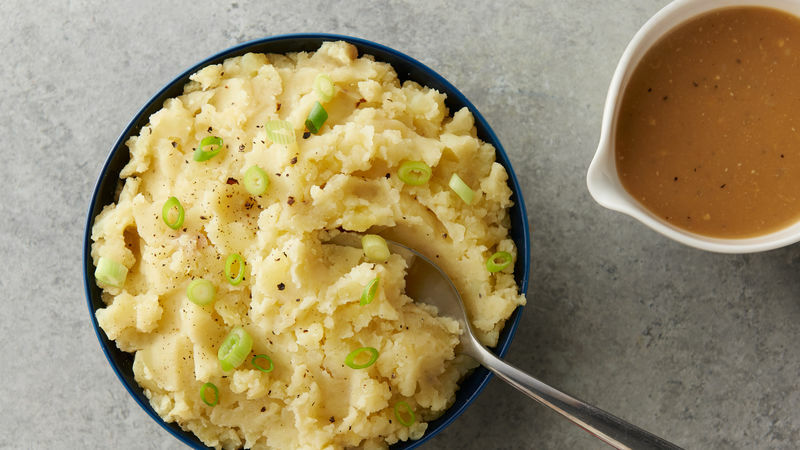 This recipe is a must try for all mashed potato lovers. 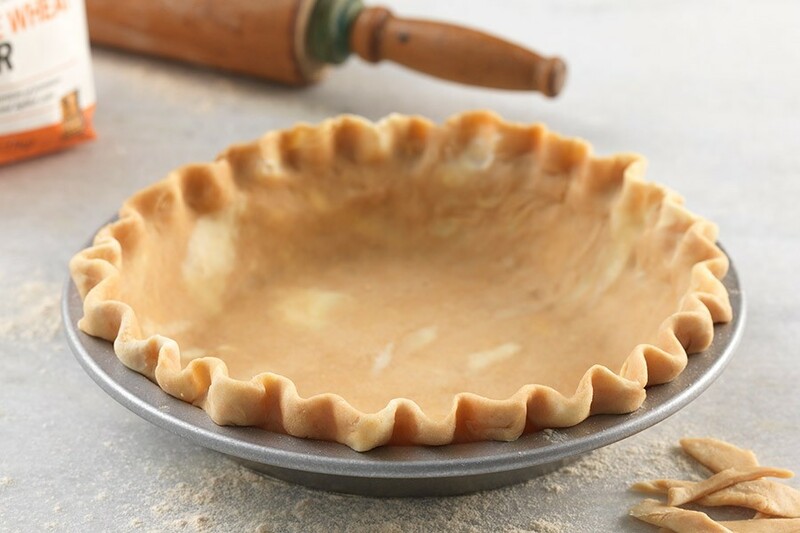 Pir crust for your favorite pie recipes can also be made ahead as well and then frozen. You can even make it weeks in advance. This is a buttery and flaky crust that everyone will love. 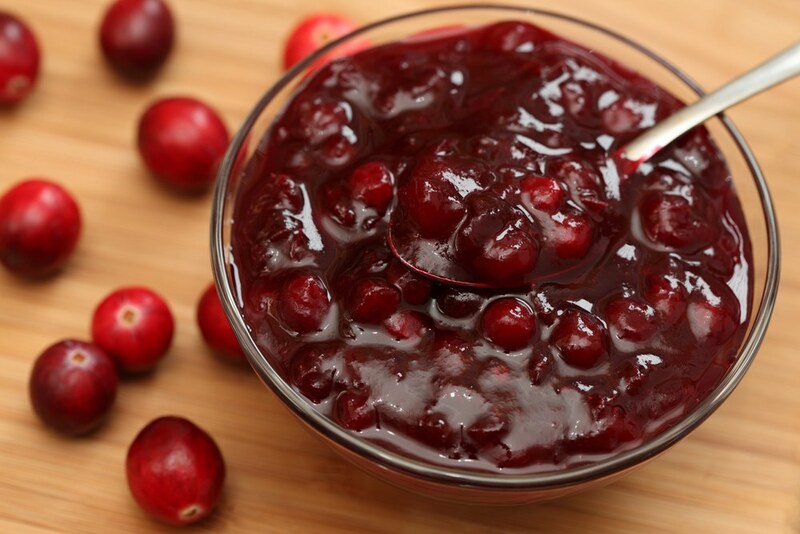 Cranberry sauce is the perfect food to prep in advance because it only gets better the longer it sits. This recipe is so simple that it can be made in 10 minutes. 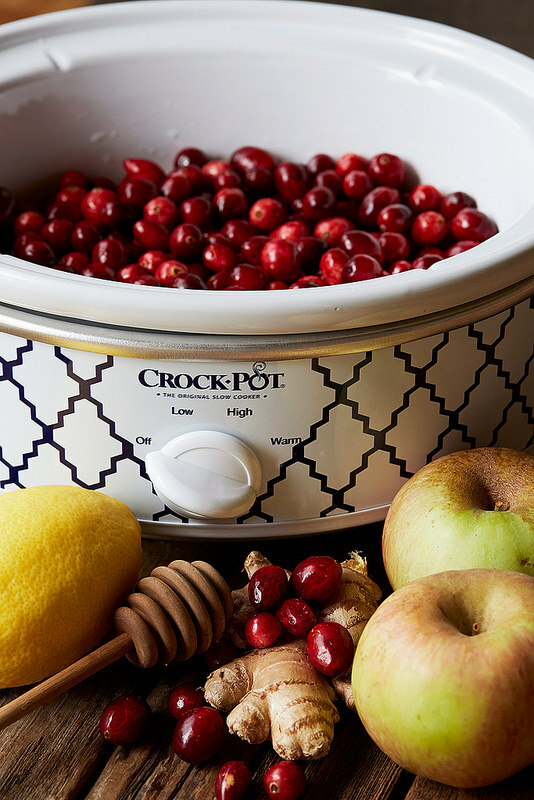 No need for store-bought and canned jelly style cranberry sauce. This is sure to impress all of your guests. 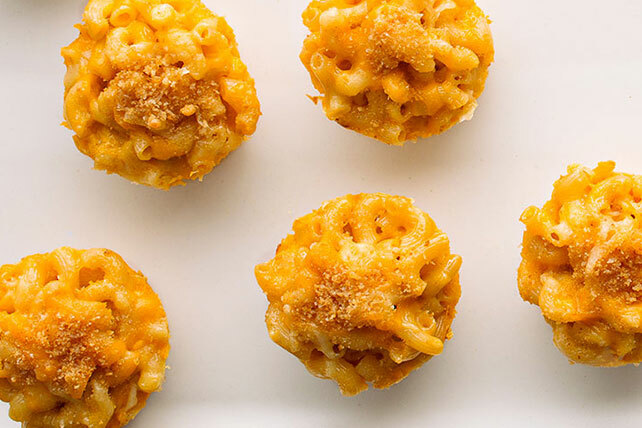 Kids love mac and cheese, so this is a great side dish all little ones will devour. They are also perfect for them to just pick up with the hands and chow down. Kids love cupcakes. 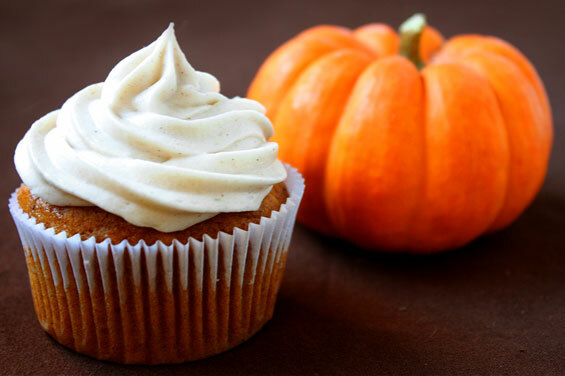 So, for their dessert treat flavorful pumpkin cupcakes with sweet and creamy frosting and a perfect kid approved dessert. If you want to put a unique spin on classic pecan pie, this recipe includes lush chocolate to take your pie to the next level. 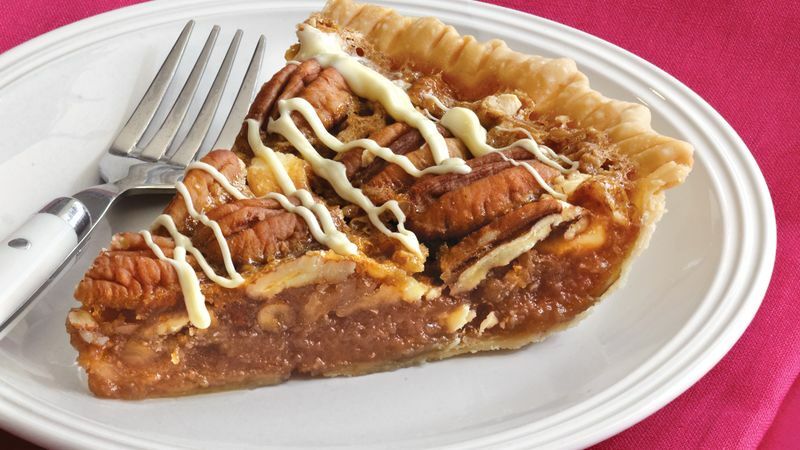 The chocolate and nutty pecans make the perfect combo. 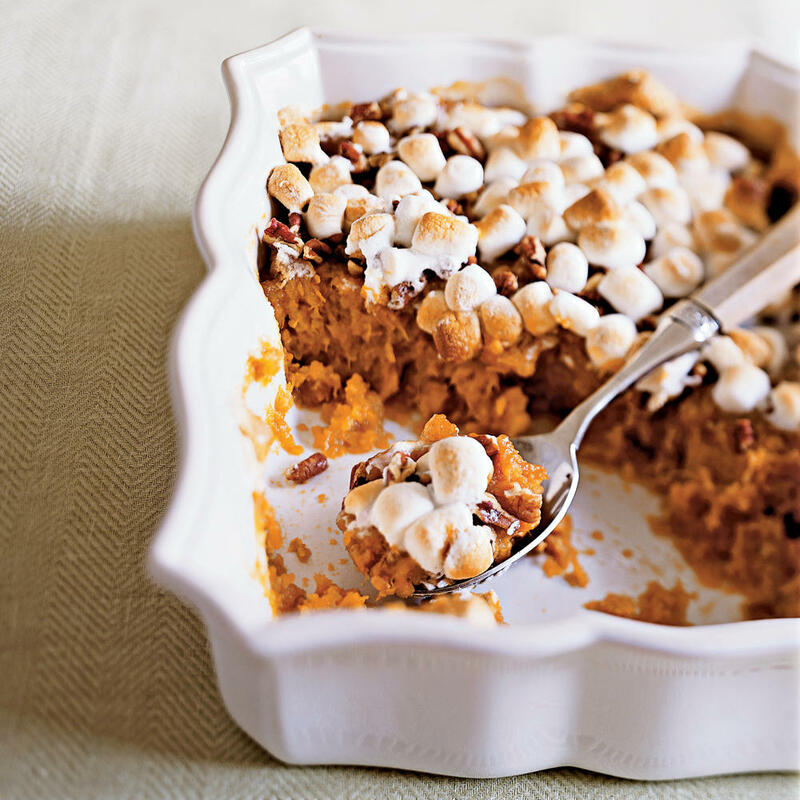 When looking for the best Thanksgiving recipes, we always like something a little different. 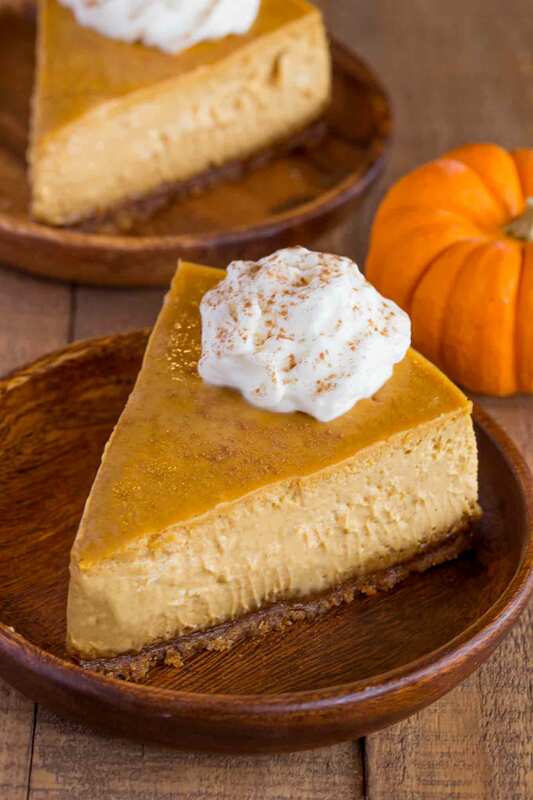 If you are sick of regular pumpkin pie for this Thanksgiving’s dessert spread, try this sinfully creamy and flavorful pumpkin cheesecake! If you are looking for a traditional dish, like cranberry sauce, but with a zesty and spicy spin, look no further than this easy and delicious ginger apple cranberry sauce. 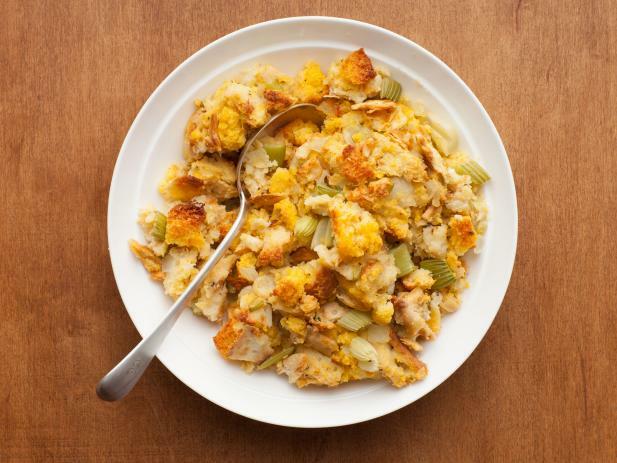 If you want to add some Southern comfort to your Thanksgiving, cornbread stuffing is a perfect sweet and savory dish to add to the spread! Having a Thanksgiving with mainly adults and want to add a sophisticated touch? 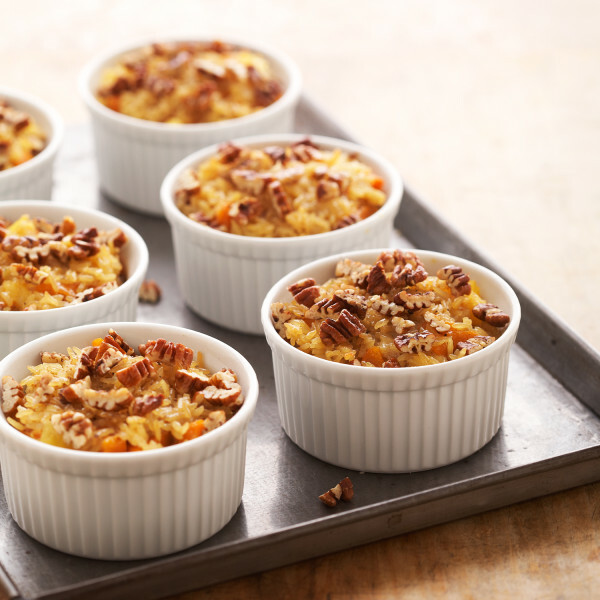 This sweet potato souffle is super simple but looks and tastes so decadent your guests will think you slaved for hours and hours over one dish. 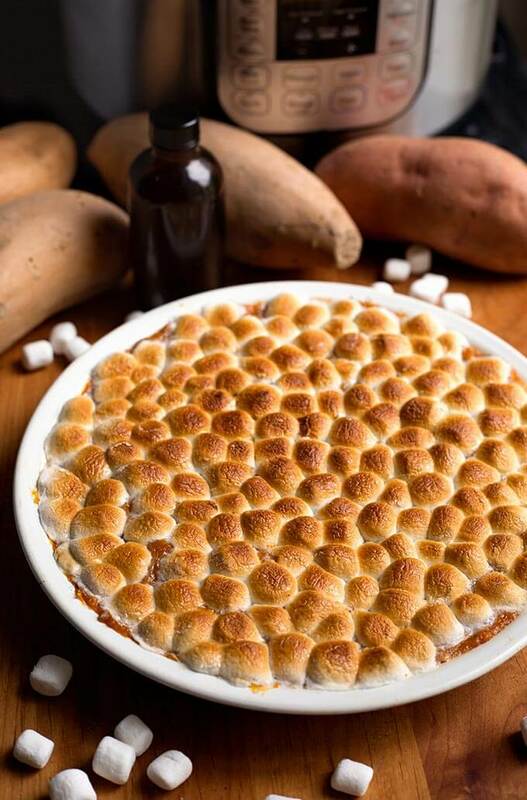 If you are looking for the best Thanksgiving recipes with an eleated twist, try this out! 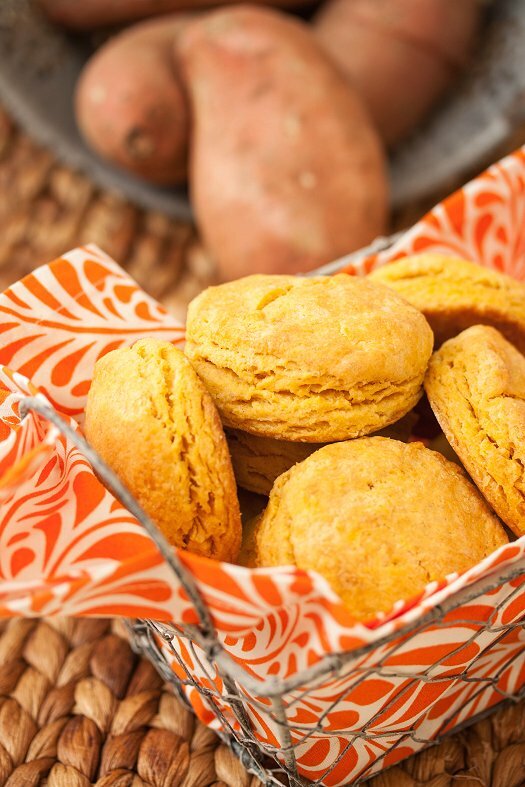 Warm, soft, buttery, and slightly sweet, sweet potato biscuits will please your whole crowd, especially the kids. Kids love sweet and bready baked items, so these homemade biscuits are sure to be a hit. Desserts don’t have to be hard. 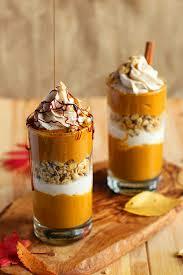 Pumpkin pie parfaits are a wonderful and easy addition to add to your scrumptious dessert table! Give these a try…we know you and your guests will not be disappointed. 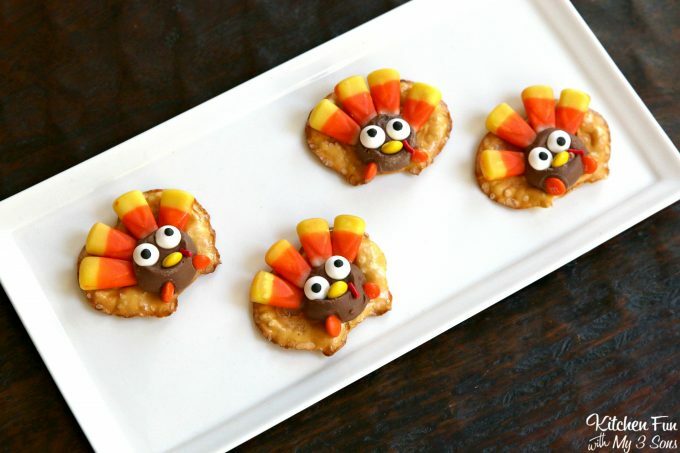 If you want a cute treat for the kids that will leave them in awe, be sure to take some time to make these adorable pretzel turkeys with them. It will keep them engaged and also be a fun edible craft project. Delicata squash is the perfect fall veggie. If you have any vegetarian friends they will absolutely love this recipe. 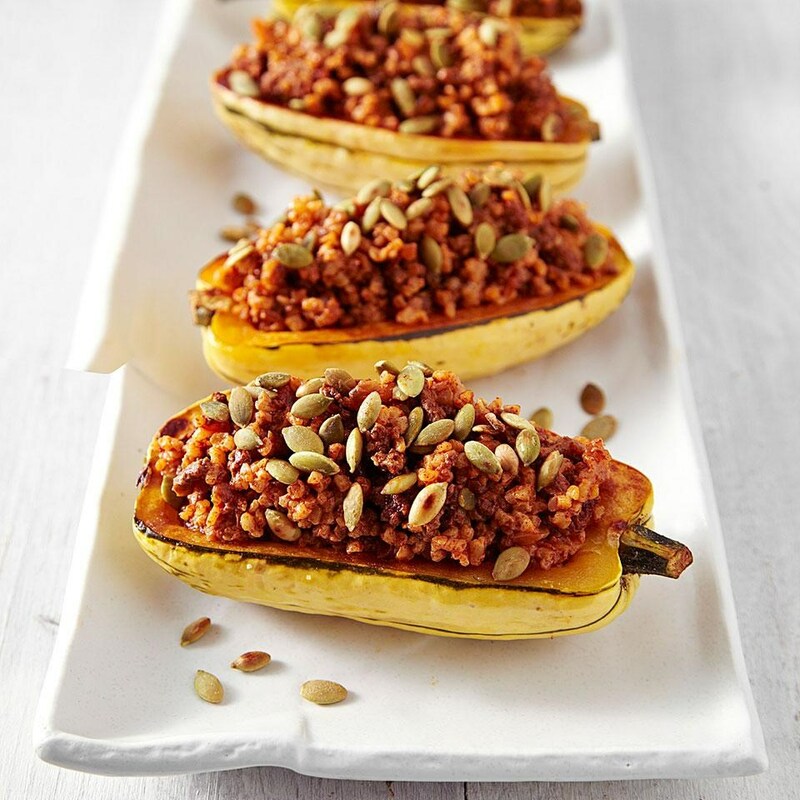 With ingredients like vegetarian sausage, garlic, feta cheese, and mushrooms, this stuffed squash will please everyone. This squash has the looks of spaghetti and it neutral in flavor so it can be paired is any flavor combo. This creamy, cheesy, and greens filled bake is perfect for a healthier Thanksgiving side dish. It is always nice to prepare some vegan dished just in case. 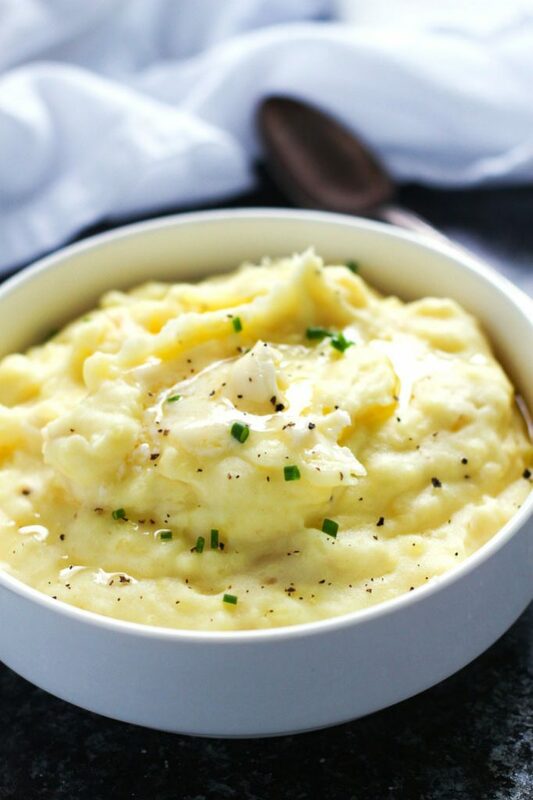 These vegan mashed potatoes are delicious and creamy, just like the real deal. 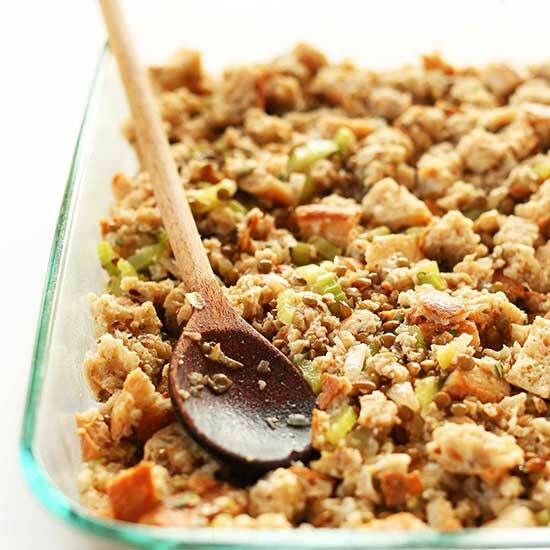 Stuffing is an easy dish to make vegan-friendly and it certainly does not have to lack any flavor. This recipe is filled with robust and traditional flavors. Give it a try and see! With pecans and rolled oats, marshmallows are replaced with something a bit more wholesome and nutritious, but that doesn’t mean it doesn’t taste that way! Yes! 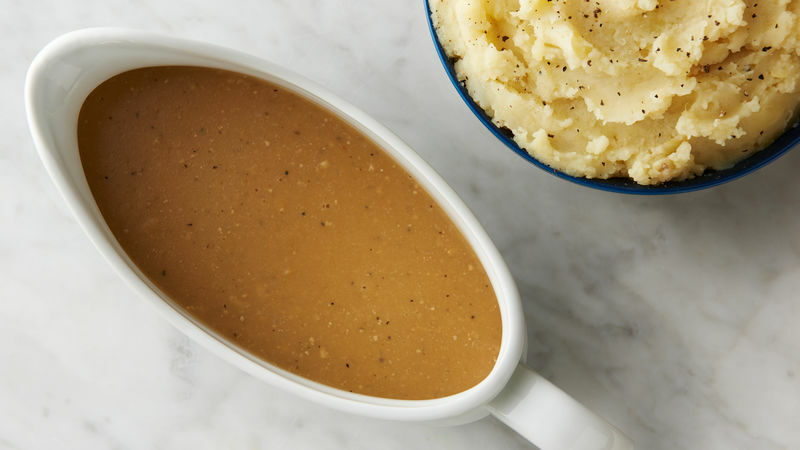 You can make delicious vegan gravy. This is one of the best recipes so we definitely think you should try it out. Your heart will skip a beat for these beets! But wait, there’s a twist on this dish. 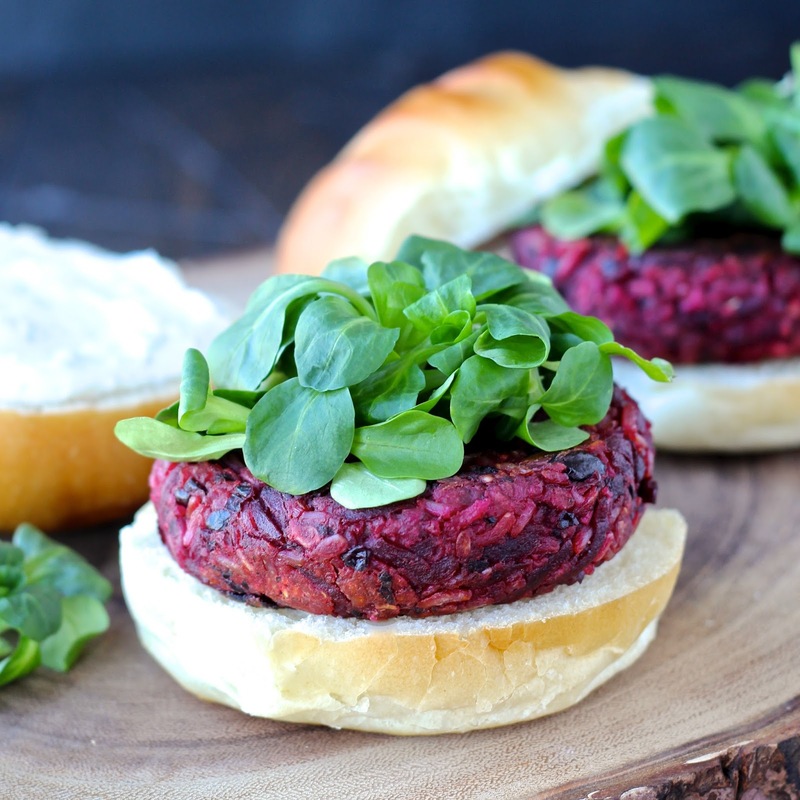 Sink your teeth into the beat burger, which is a great option for vegan and vegetarian guests! 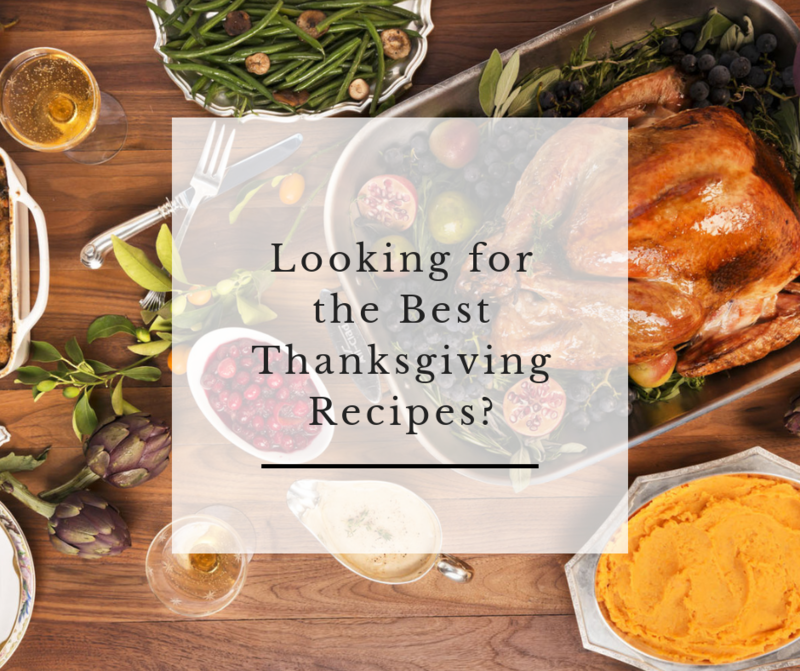 If you have been looking for the best Thanksgiving recipes, this list is a great way to get your started and help you plan your Thanksgiving feast! 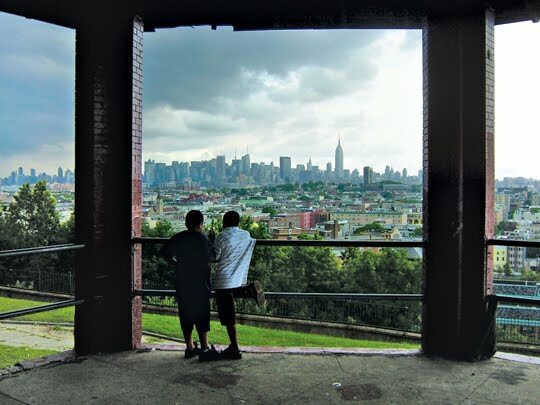 Jersey City Heights is becoming a new go-to spot for living, eating, and playing. It is formerly known as Hudson City and offers an abundance of lush green parks, shops, restaurants, and a fantastic arts district. 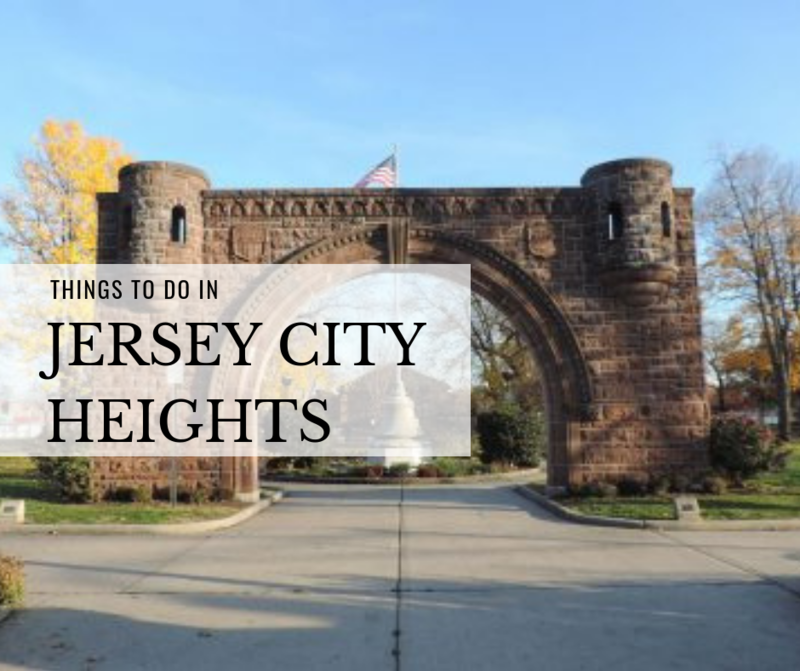 In this post, we will explore some of the best things to do in Jersey City Heights with the whole family. This warm, inviting, and relaxing spaces serves up some delicious and authentic Afro-Cuban food, making this restaurant one of the best things to do in Jersey City Heights. They serve breakfast, sandwiches, hot and cold drink, fresh juices, and desserts. You will feel right at home with their warm and comforting dishes with a unique combination of tastes and flavors. This modern style coffee shop offers some of the best views of the NYC skyline from its adorable space. Their coffee bar serves up some of the best coffee in all of Jersey City. 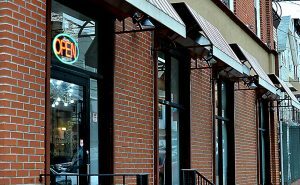 They have espresso drinks, freshly brewed coffee, and a variety of other handcrafted drinks as well. The shop also sells their coffee for you to take home as well so you can brew a fresh cup from the comfort of your own home. 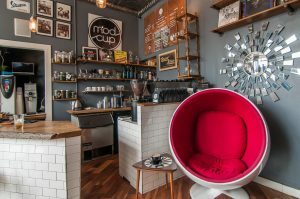 This modern coffee shop is definitely one of the best things to do in Jersey City Heights. 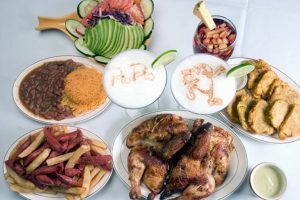 This Peruvian restaurant has been in operation “since 1994, specializing in Pollo a La Brasa (Rotisserie Chicken), authentic cuisine from Peru and famous “Green Sauce”! 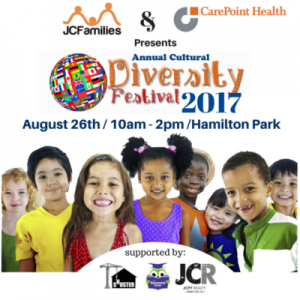 [They] are located throughout Queens, Brooklyn, Bronx and Manhattan New York,” and now have a location in Jersey City Heights. If you are in a rush, you can even order from their online menu and pick up your order. This is a great feature for busy families looking for a quick, yet home-cooked style meal. 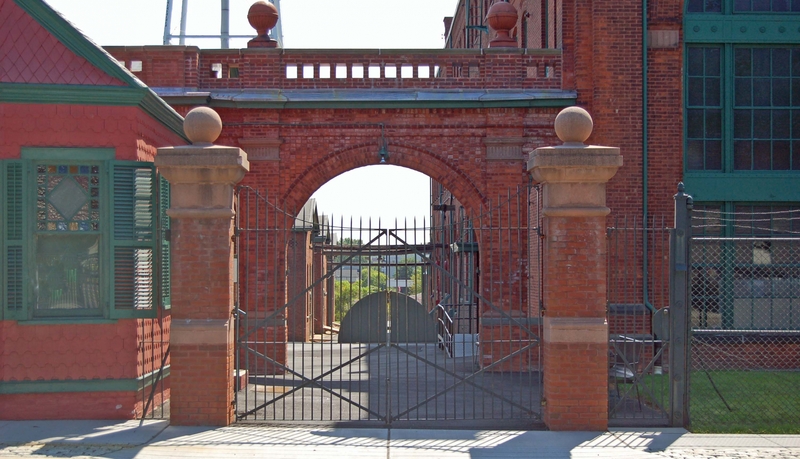 The Riverview Arts District in Jersey City heights offers tons of art galleries to walk through, art on the street, and is filled with young and creative artists. You can spend the day walking around this section, admiring all of the stunning artwork this district has to offer. 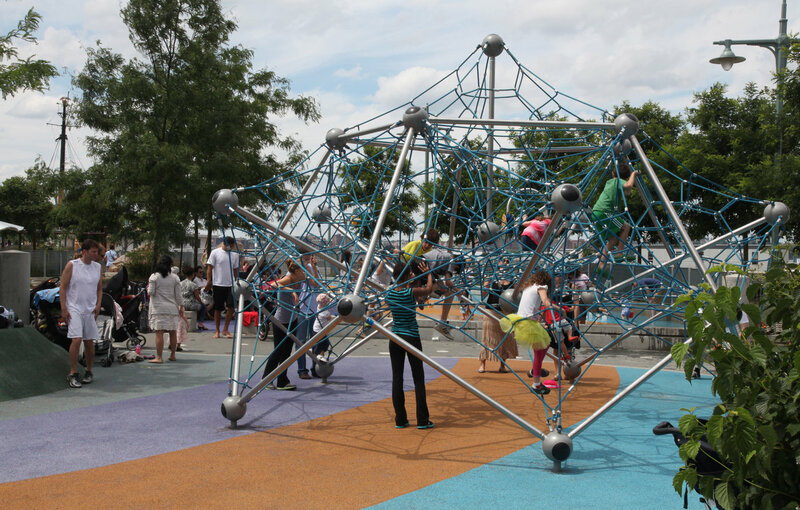 This scenic location is filled with tons of family-friendly outdoor activities. 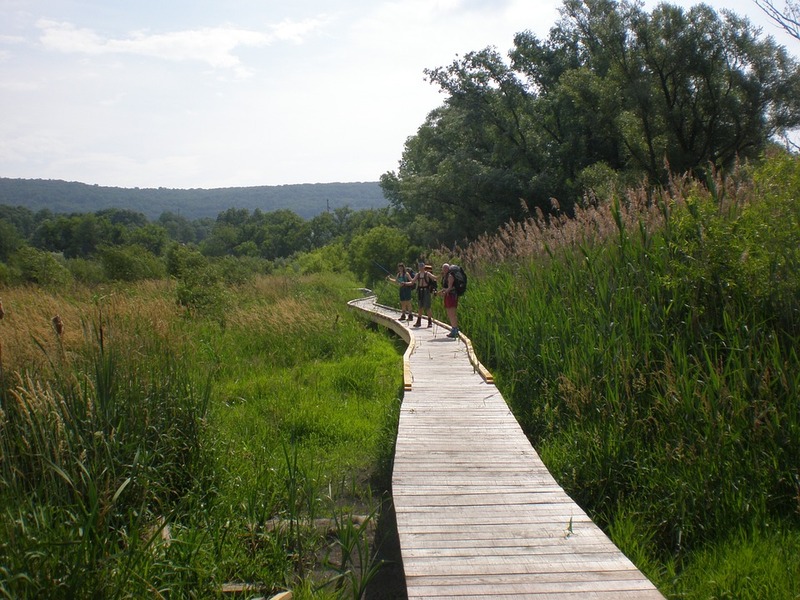 You can choose from activities like walking and hiking trails, kayaking, fishing, art festivals, and so much more! It is also the perfect place to just take a packed picnic lunch and relax on the lunch grass on a warm and sunny afternoon. 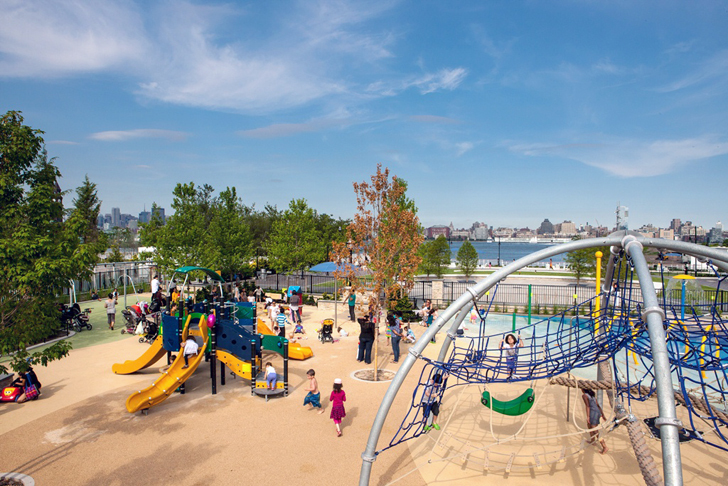 The main gate is located at the Northwest corner at Summit Ave. and Reservoir Ave.
With amazing views of the NYC skyline and the Hudson River, this Fish Park is the perfect place to spend a weekend day. You can relax in the gazebo, play basketball of one of their two courts, or have the children run around the playground. 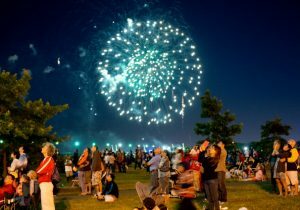 They also host a weekly farmers market, have some of the best views of fireworks on the 4th of July, and have the Riverview Jazz festival. 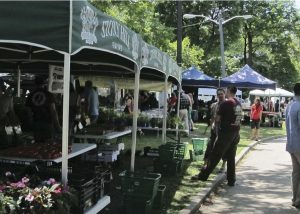 The Riverview Farmers Market is a huge attraction for families to Fish Park. They have tons of vednors, events, and activities that are perfect for young kids and families. 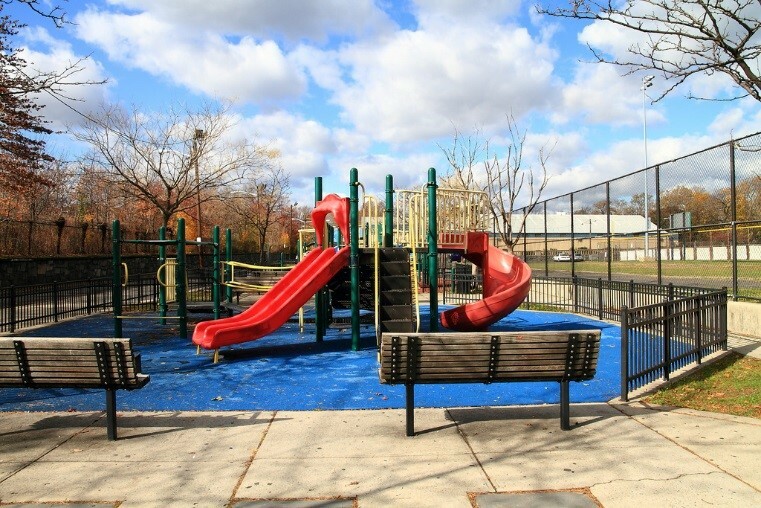 You will enjoy this park and all of the outdoor fun it has to offer! Established in 1959, this pizza place knows a thing or two about making some of the best pizza around. 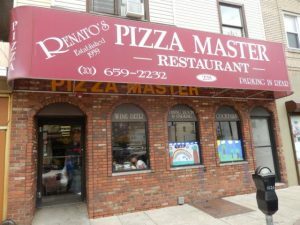 Family owned and operated, they specialize in authentic pizza with traditional and unique flavors. Choose from pizzas like Grandma’s style pizza and pepperoni to flavors like broccoli rabe and baked potato ranch! This family favorite bakery features delicious baked goods that are to die for. 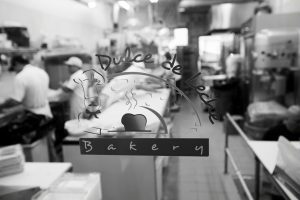 They are an Argentinan style bakery, they only use fresh butter in their pastries, and are famous for their bread and empanadas. You must also try their traditional style Argentine style quiche. 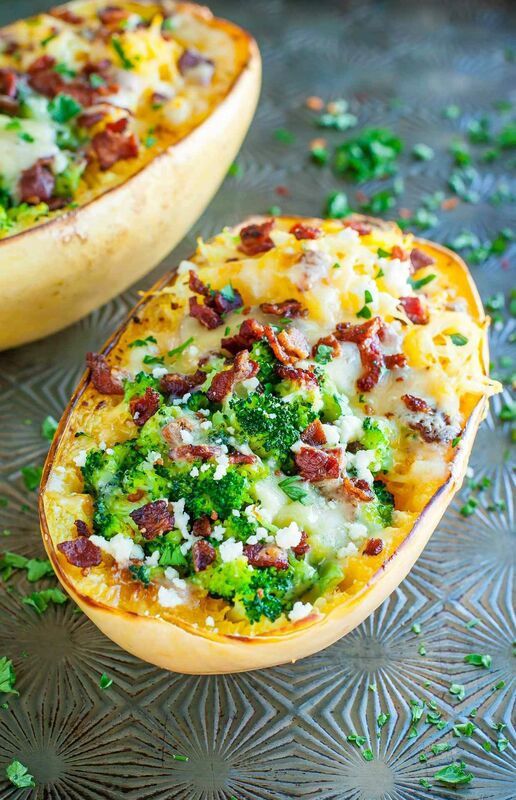 It’s filled with ingredients like ham and cheese, broccoli and cheese, spinach, potatoes, and more! This safe and welcoming holistic center and yoga practice studio is the perfect place to relax, unwind, and recharge. Of course, they offer yoga, but they also offer acupuncture, massages, reiki, and life coaching sessions. 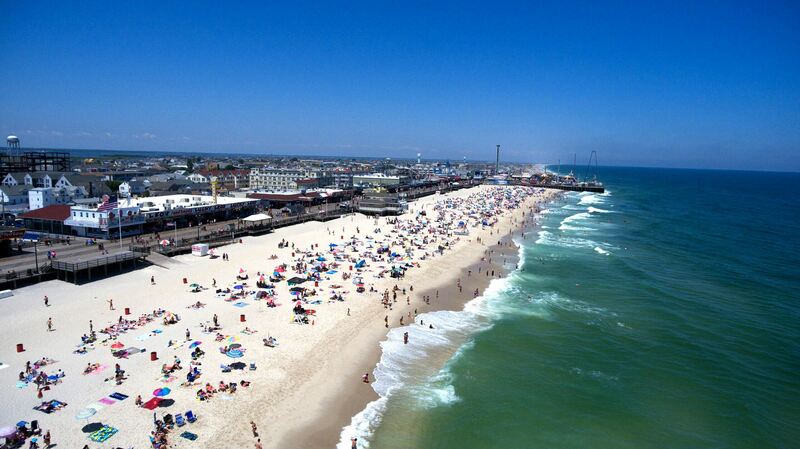 Are you looking for some of the best places to visit in New Jersey this summer? If you are, you have come to the right place! 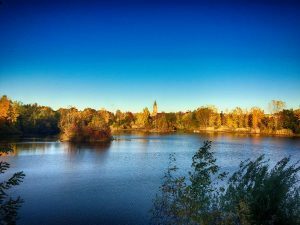 We have compiled a comprehensive list of some of the coolest and most beautiful places to visit in NJ this summer. 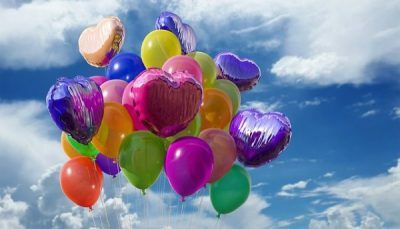 There is a little something for the whole family, so let’s take a look at some awesome options for a family outing or vacation! 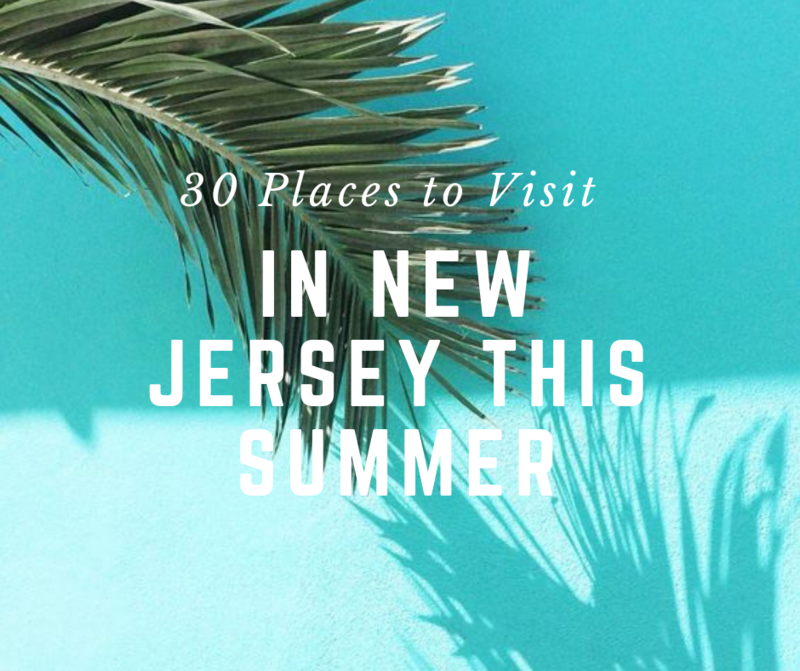 Here is our list of 30 Places to Visit in New Jersey this Summer. 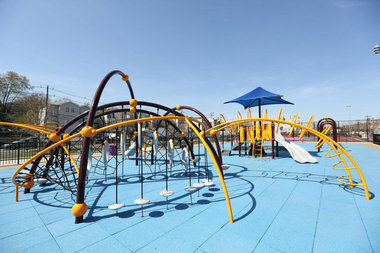 Something for both the parents and the kids, Breakwater Beach and Casino in the perfect spot to visit in NJ this summer. 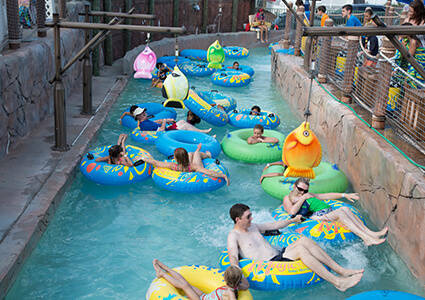 Explore the water park or hit the casino when the kids are busy playing in the water! Find directions here. 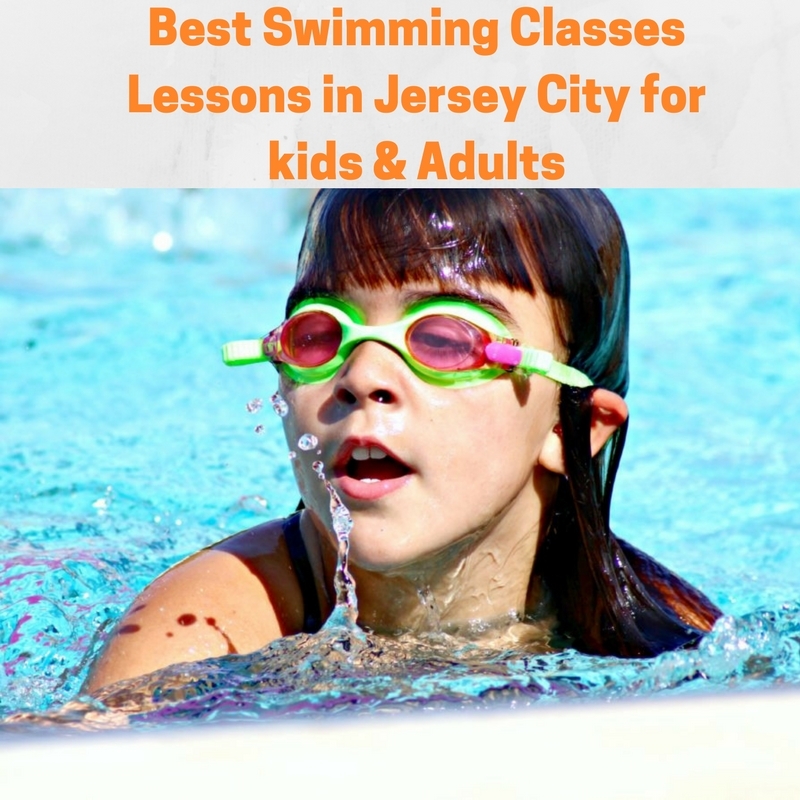 This outdoor water park is super close to the city, it’s only an hour drive away and it is definitely one of the best indoor and outdoor water parks around Jersey City. It is located in Jackson, NJ. 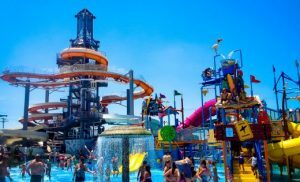 This outdoor water park has a lazy river, tons of water slides, boogie boarding, water rafting, and more. For the young kids, there is a baby pool, water swings, fountain, and tree house. There is a great combination of features for parents, younger kids, and babies, which is perfect for families with many different ages. 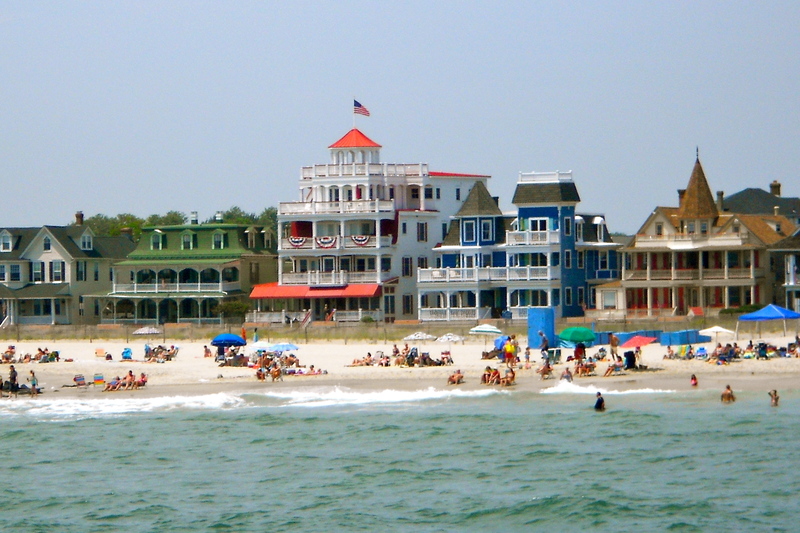 Considered one of the most beautiful historic towns in all of NJ, a visit to Cape May this summer is a must. It’s the southernmost tip of NJ and worth the drive from wherever you reside. It has gorgeous beaches, delicious restaurants, and the cutest and most colorful Victorian style houses you will ever see. You can check out the Cape May Zoo, go on a whale and dolphin watching sunset cruise, hit the beach, shop, or indulge in some crab fries from The Ugly Mug. 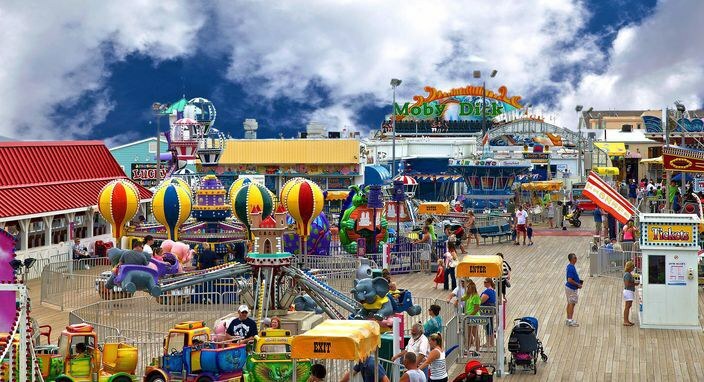 You will never be bored in Cape May, which makes it one of the most exciting places to visit in New Jersey this summer. 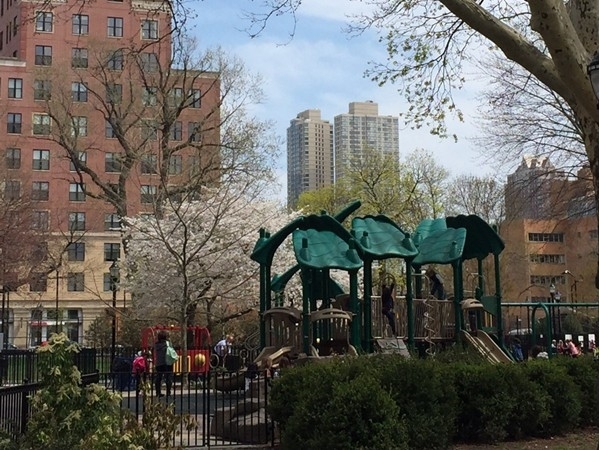 You can easily spend a few hours exploring this park rich with history. 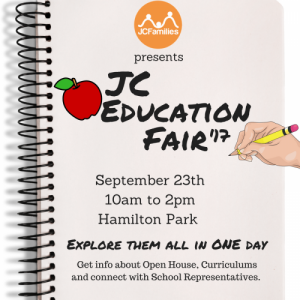 It’s a great educational day trip for the kids. You can tour the home and lab of the great Thomas Edison, see vintage movies, and get close and personal with some super old artifacts. They provide guided audio tours for those who want even more information while touring the park. 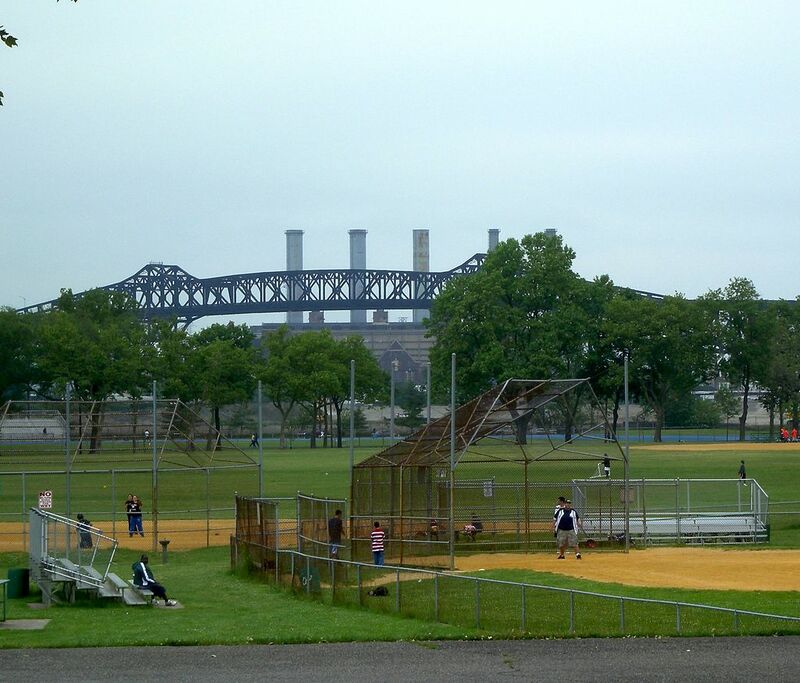 This park is one of the most historically rich places to visit in New Jersey this summer. 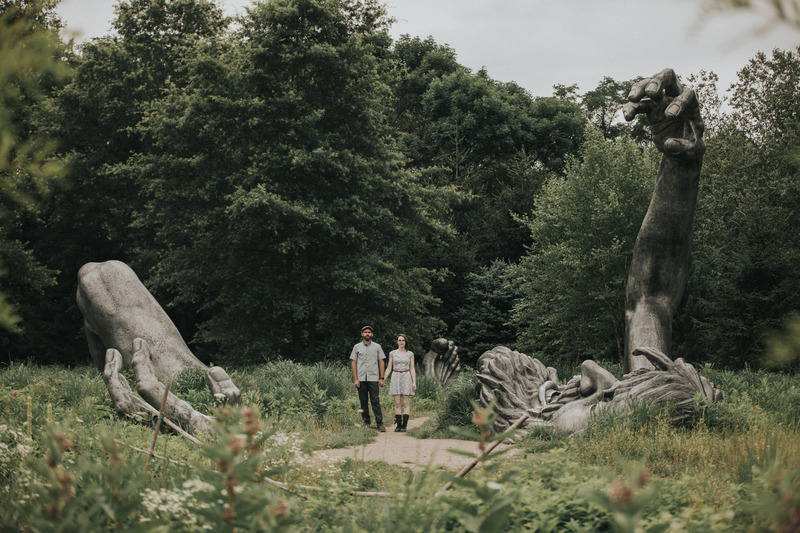 Grounds for Sculpture might be one of the coolest places in NJ for artists or people who just love cool works of art. 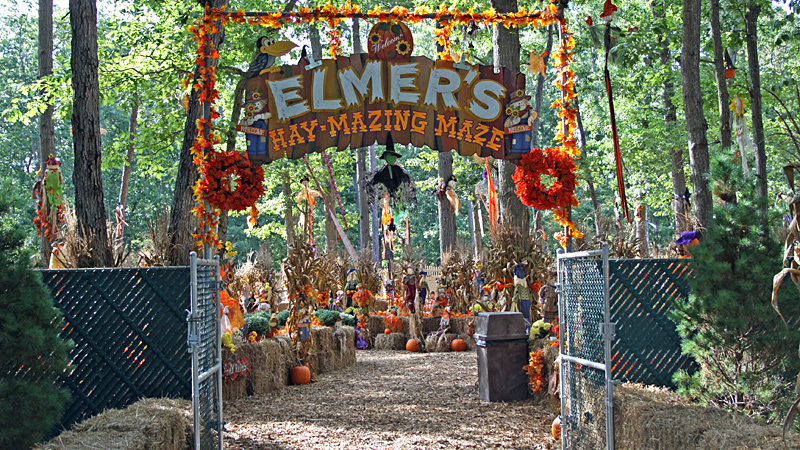 This is an awesome and whimsical place for the whole family to enjoy! Princeton is one of the most beautiful small towns in NJ. 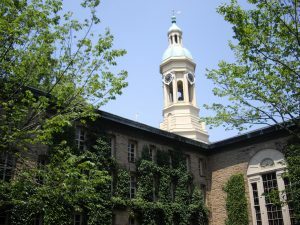 It’s rich with history, is home the Ivy League college Princeton University, and is filled with fun things to do. 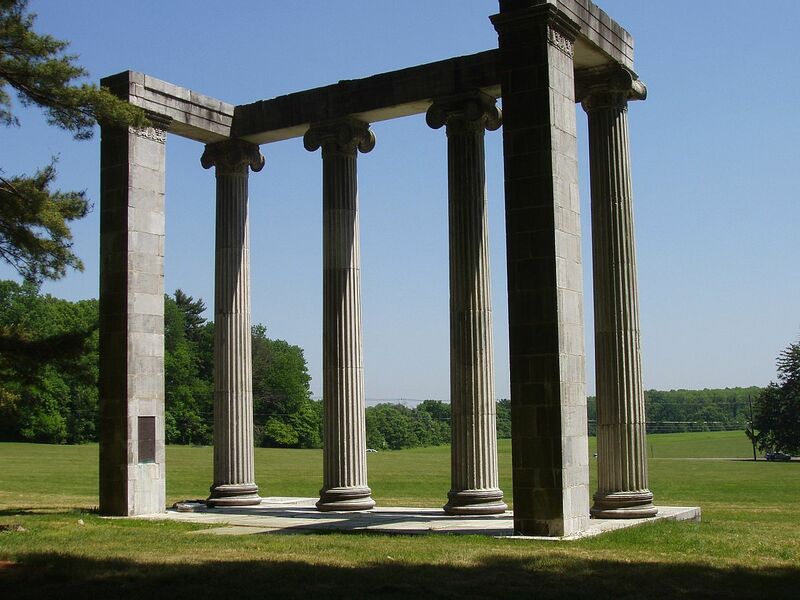 At the park, you can check out the battlefield, the Clark House Museum, Mercer Oak, the Ionic Colonnade designed by Thomas U. Walter (who was also the architect of the US Capitol Building), a stone patio which marks the grave of 21 British and 15 American soldiers killed in the battle. 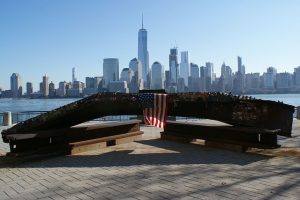 For another historical visit in NJ, Battlefield State Park is one of the best places to visit in New Jersey this summer. 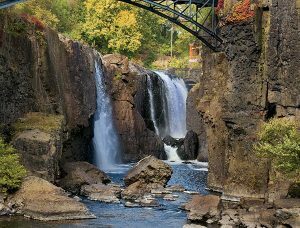 Who knew this huge 77-foot and stunning waterfall could be located smack dab in the middle of Paterson, NJ? Well, it’s there and it’s totally worth the visit. You can take a guided tour or you can just check it out on your own with the family and walk around the grounds. There is a pedestrian bridge that takes you right over the massive waterfalls – it’s an experience like no other. Please note that the pedestrian bridge is often closed for repairs, so make sure you check their website for closures and current conditions. However, even if the bridge is closed you can still see great views of the falls. Could this get any more stunning? We don’t think so! 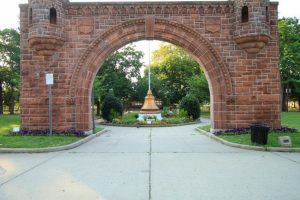 So, plan your trip to Troy Medows today since this is one of the most beautiful places to visit in New Jersey this summer. This meadow is a freshwater marsh in the Whippany River Watershed in the Passaic River Basin. If you are lucky, you will get the chance to see tons of beautiful lavender blooming. Sink your toes in the sand at Newport Green and have the kids build a sand castle and dig in the sand! They even have a water play area that the kids can splash around in so make sure your pack their bathing suits, sunscreen, and beach toys. No need to drive a few hours in traffic to a crowded beach on the Jersey Shore when you can get the beach experience right in your own backyard. 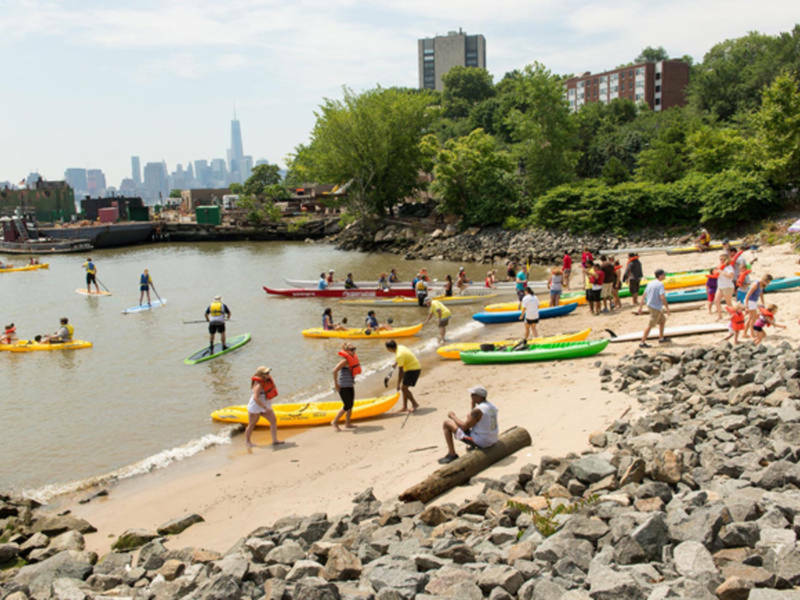 The Boathouse is a must-do activity in Hoboken, especially during the summer months. It is an awesome way to get active and spend some time on the beautiful river all at a very budget friendly cost…because it’s free! 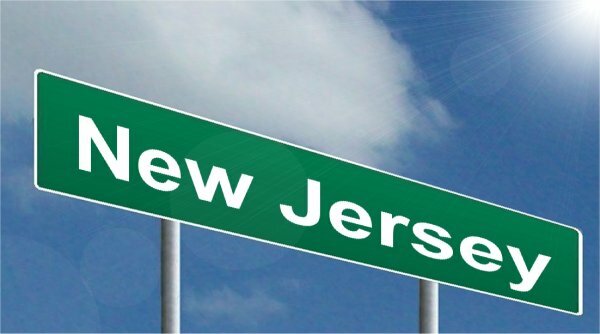 Of course, anything free makes it one of the most budget-friendly places to visit in New Jersey this summer. 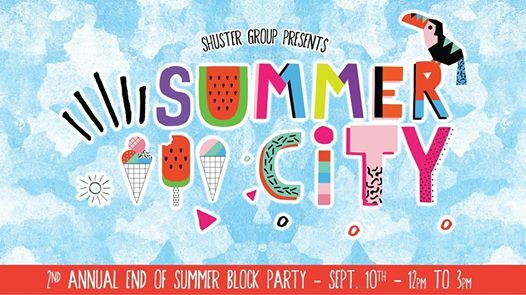 This is great if you have a large family and don’t want to spend tons of money on pricey events and activities throughout the city. 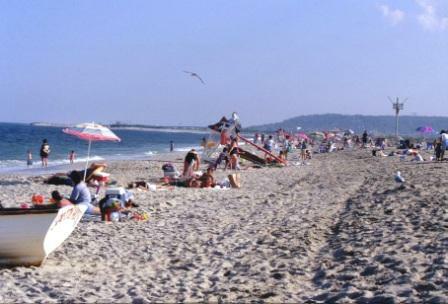 Sandy Hook is a stunning stretch of beach that runs for 7 miles. 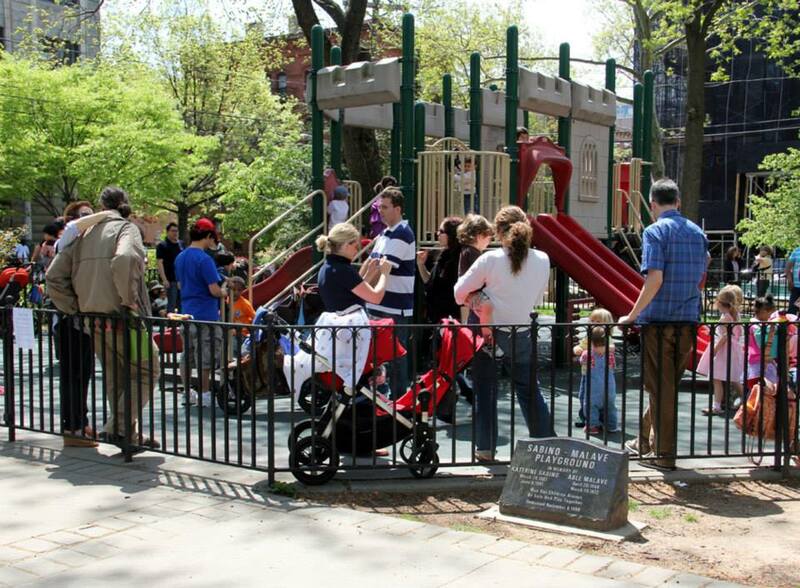 There are so many things to do in the park that the whole family will love. Of course, you can hang on the beach and play in the water and sand. 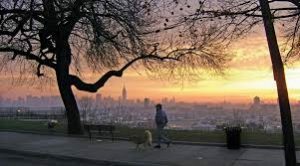 But you can also walk or bike the bike path all the way down to the tip of the park, where you will have amazing views of the NYC skyline. You can rent kayaks and paddle boats, or bring your own surfboard and parasail to ride in the calm bay side. Sandy Hook is also home to an abundance of unique birds, wildlife, and flora and fauna – perfect for the nature lover. Located at the very end of the park is Fort Hancock. 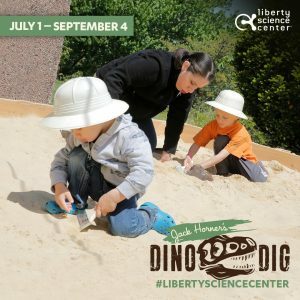 Visit the Fort Hancock Museum, explore the hidden battery buildings, officers row, lighthouse, and tons more. It will feel like you are thrown back in time. 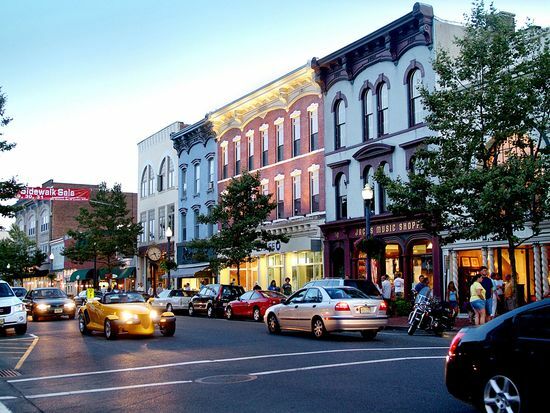 Super charming and quaint, Red Bank has been awarded one of the top small town main streets in the US. There are tons and delicious restaurants, adorable clothing shops, bakeries, and so much more. You can hit the antique shops, take a stroll along the waterfront, and get some famous Italian Ice at Strollo’s Lighthouse (be prepared to wait in a line! 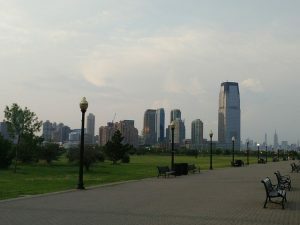 With maybe the greatest view of the NYC skyline in all of NJ, Liberty State Park is a must. 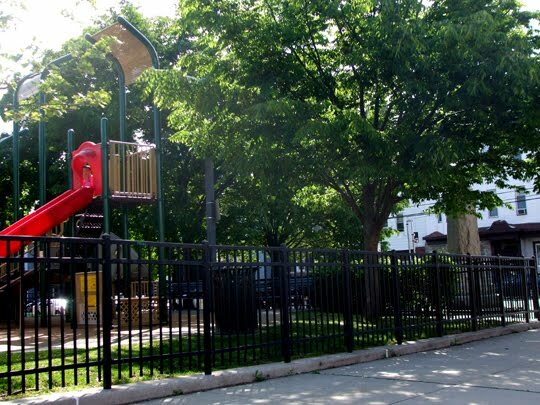 The park is great for walking, throwing or kicking a ball around, or having a picnic right near the water. 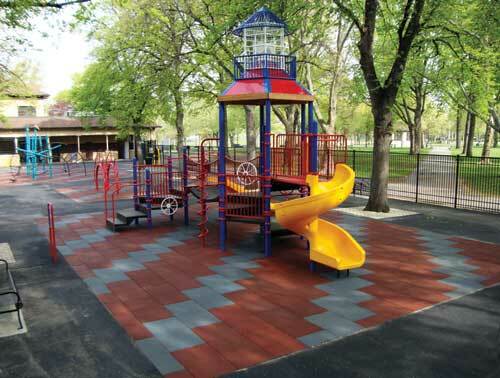 They also have a great playground for kids to enjoy. A trip to Keansburg Amusement Park and Runaway Rapids is a summer must for many families on the Jersey Shore. 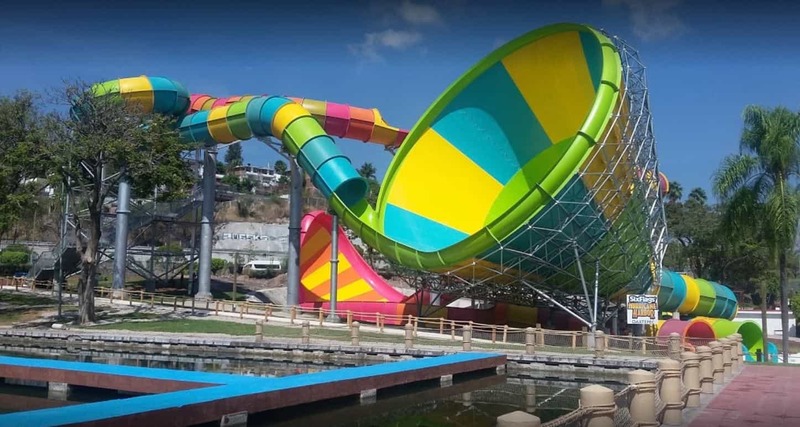 With affordable prices and tons of water rides and regular rides to ride, this is a perfect place for smaller and bigger kids alike. Adventure Aquarium is one of the best and biggest aquariums in NJ, your kids will definetly love this awesome aquarium. 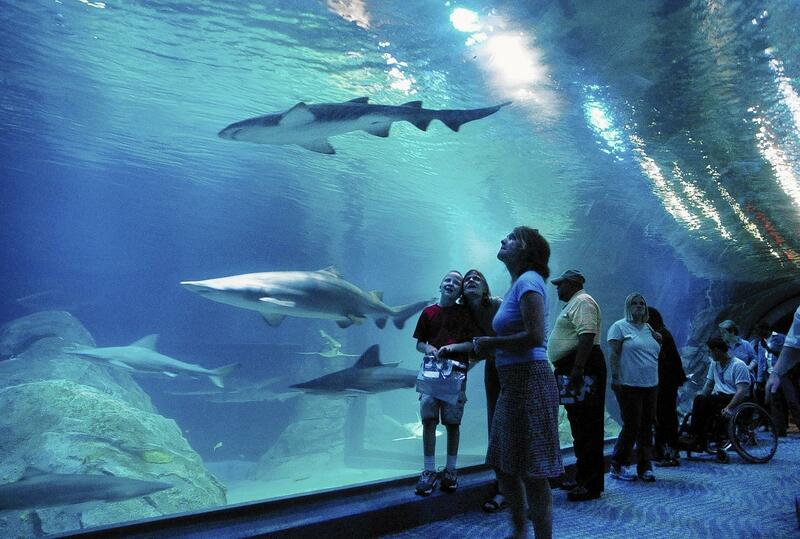 Visit hippos, sharks, fish, and penguins. They even have special touch exhibits where you can get up, close, and personal with some super cool sea creatures. 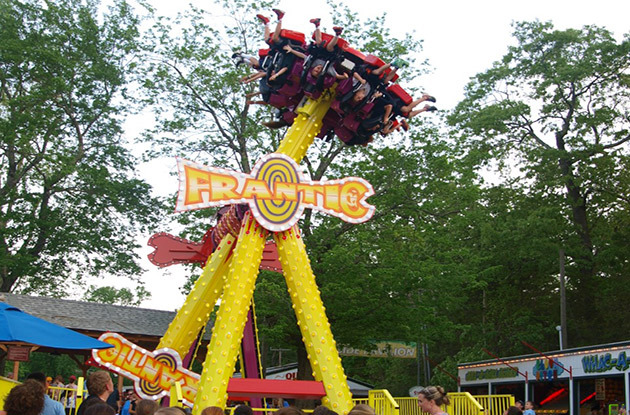 Pirates Plunge water slide, Jumping Frog rides, haunted Halloween houses, and talking scarecrows are just some of the cool attractions at this cool amusement park. 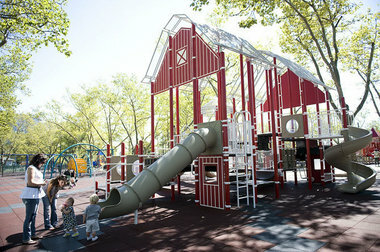 The park also has 9 food areas, a free picnic area, and much more. In operation since 1955, Storybook Land is a magical park for kids and families. The timelessness of childhood will ring true as your family literally walks through its all-time favorite stories and nursery rhymes at Storybook Land. Children’s classics are interspersed with exciting new family rides and attractions in a remarkably clean and enjoyable park setting! 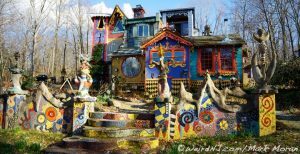 This private home and art studio of Ricky Boscarino is like something out of a fairytale. It is only open a few times per year and the next time to visit is October 18-20, 2017 – although this is not technically the summer and it definitely worth the extra wait. With over 6 acres of in lush NJ woods, you will find all kinds of artwork scattered throughout the house and property. It’s truly something the whole family will love. 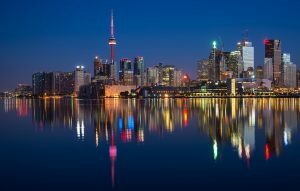 Whether you are looking to lay on the beach while you kids play in the water and sand or you want to stroll along a boardwalk, check out this awesome seaside town. There are tons of restaurants and ice cream shops to try, rides, and places to walk. Have a little one in your life that love digging, dirt, and construction cars? 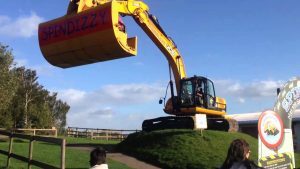 Then take them to the amazing Diggerland. You can drive and ride in actual machinery that are diesel powered, full-sized pieces of equipment. However, they are modified a bit to make them safe for the general public. 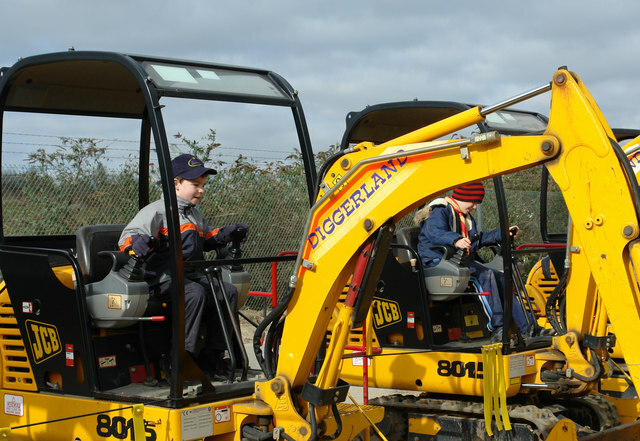 When you are finished driving the construction machinery, you can take a ride on their military vehicles, play arcade games, climb a rock wall, or one of the biggest rope courses. This is the biggest fair in NJ of the whole summer. 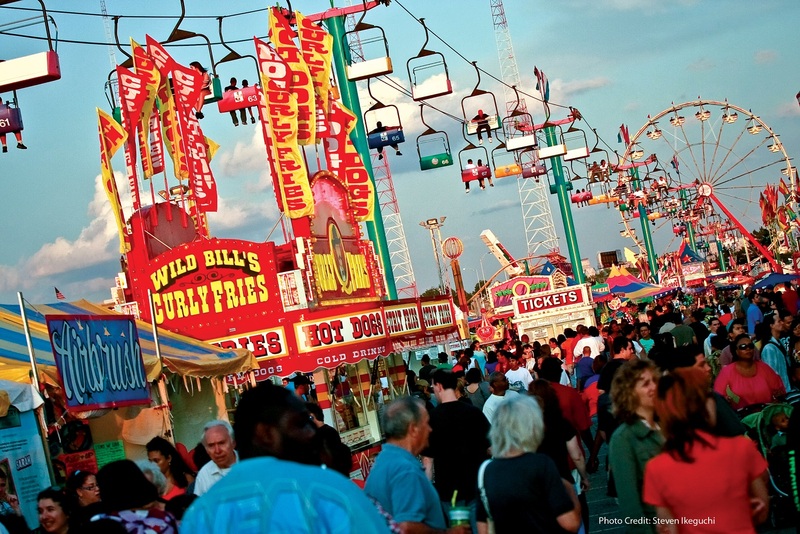 There are endless games to play, foods to eat, and rides to ride! 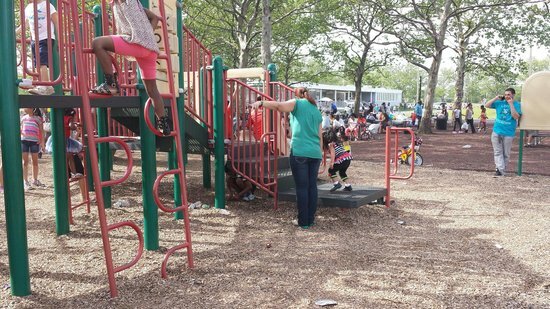 Your kids will be in heaven at this huge state park! Want to see elephants, giraffes, tigers, lions, and tons more? Look no further than Six Flags Wild Safari! It has over 1,200 animals you can take a safari car and drive right through the safari fields to get super close to these majestic animals. 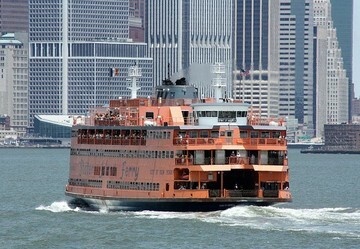 It’s one of the great off-road excursions you can take in NJ this summer. 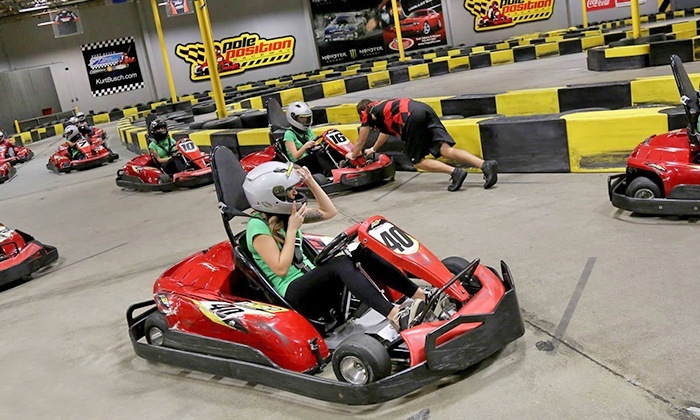 Indoor go-kart racing is always a super fun activity for the whole family…even dad! Go-karts can go up to 45 mph! 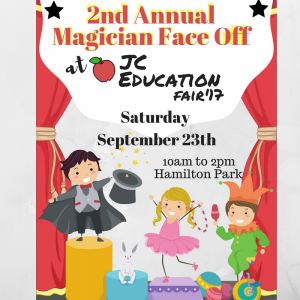 This is definitely an activity for your older kids and they are sure to love it. A trip to this delicious Amish Market will leave you and your family’s bellies happy. They feature fresh baked good and doughnuts, fresh fruits and veggies, smoothie stand, fresh meat at the butcher counter, an Amish restaurant, and tons more! 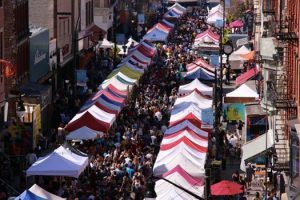 Check out this unique market as it is one of the coolest places to visit in new jersey this summer. Jenkinson’s has tons of shops, candy stores, restaurants, rides, and so much more. They have awesome clean beaches to spend the whole day playing at and relaxing. 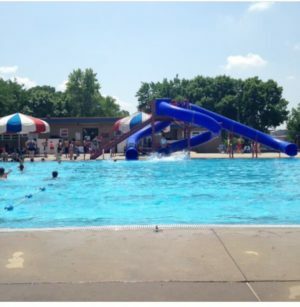 Check out Jenkinson’s as it’s one of the most fun places to visit in new jersey this summer. 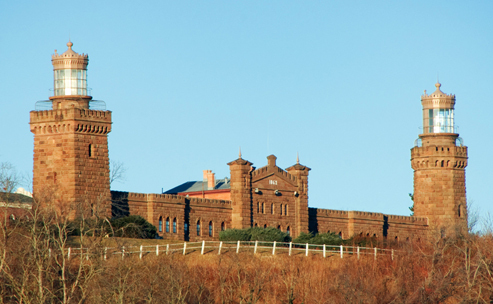 With its amazing views of the forest, NYC, and the Atlantic Ocean, Twin Lights is a must visit place this summer. You can climb to the top of the lighthouse, check out their museum, and climb on the huge cannons out front! 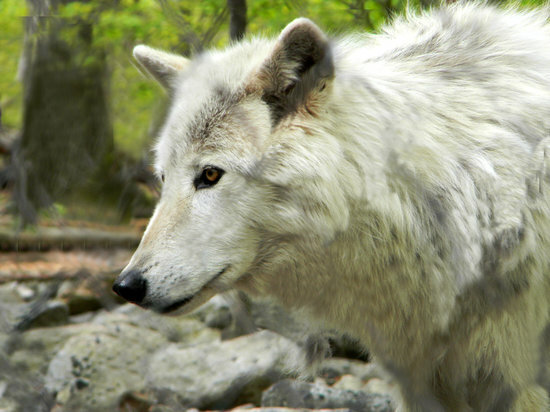 Want to take a wild wolf tour? Luckily, you can at Lakota Wolf Preserve. You must schedule a tour in advance. During the tour, you and the kids will also learn all about wolf habits, wolf packs, their interactions with humans, and so much more. This is truly an amazing experience to have with the whole family, making it one of the most places to visit in New Jersey this summer. This Happy Farm is a must to have in our list of 30 Places to Visit in New Jersey this Summer. 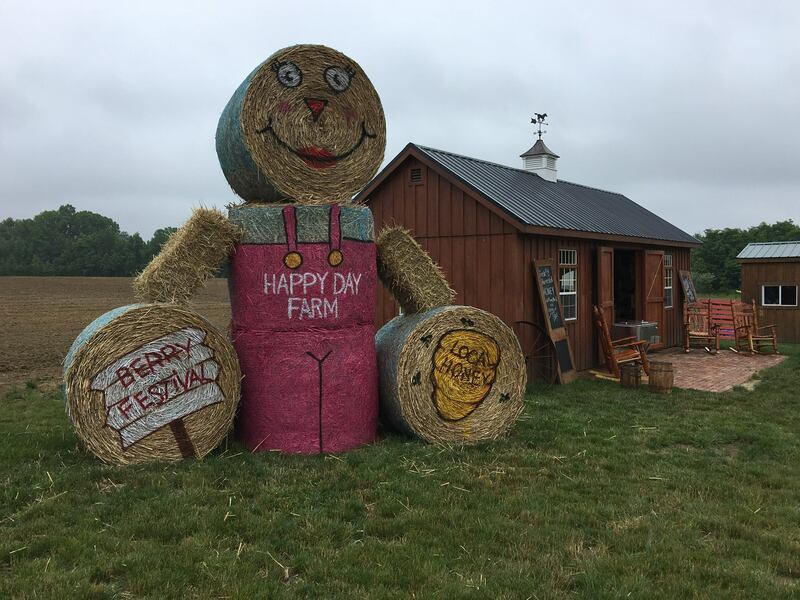 Whether you want to go raspberry or blueberry picking (through August), run through the sun flower maze, climb the tire mountain, ride on a tractor, or so much more, Happy Day Farm has something for everyone. 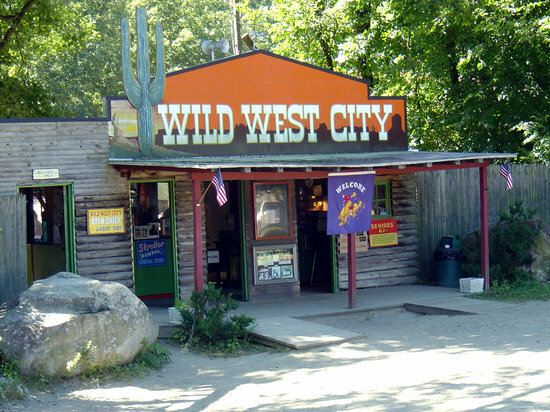 It is a perfect place to take the whole family and there is no shortage of things to do. Cheer on your knight while sink your teeth into some delicious food! 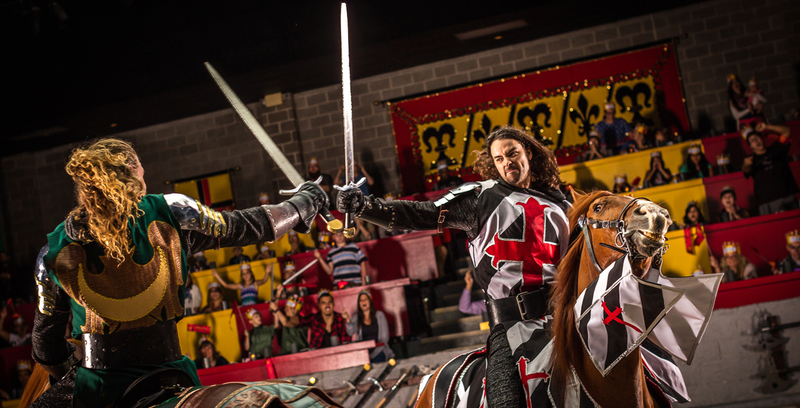 Medieval Times will take you back to the time of kings, queens, knights and jousting! 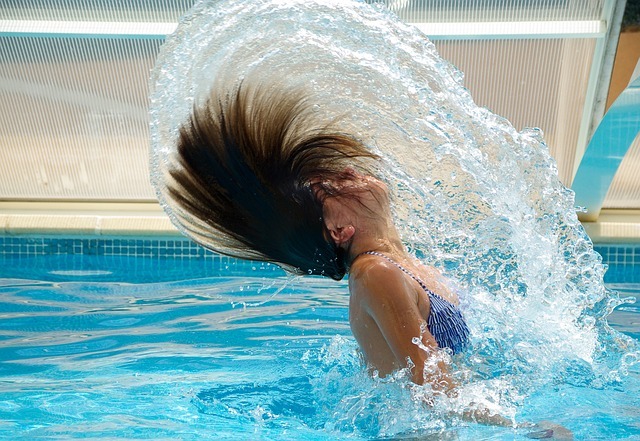 Summer is all about having fun in the sun! 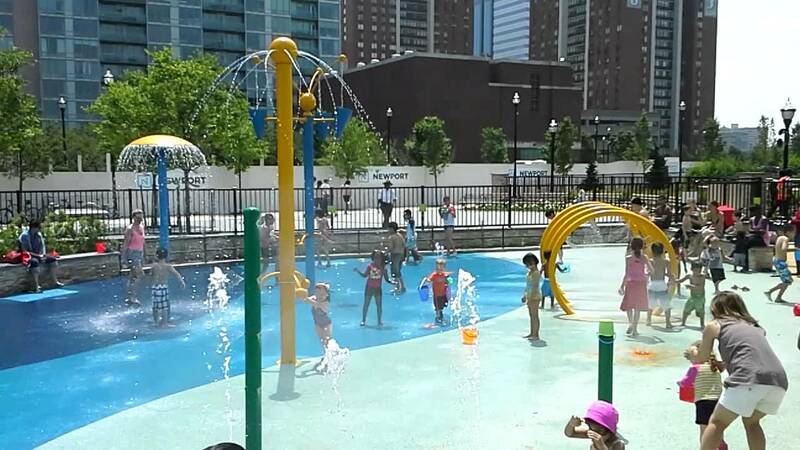 Make sure to cool off with one of the amazing pools or sprinkler parks in and around Jersey City! 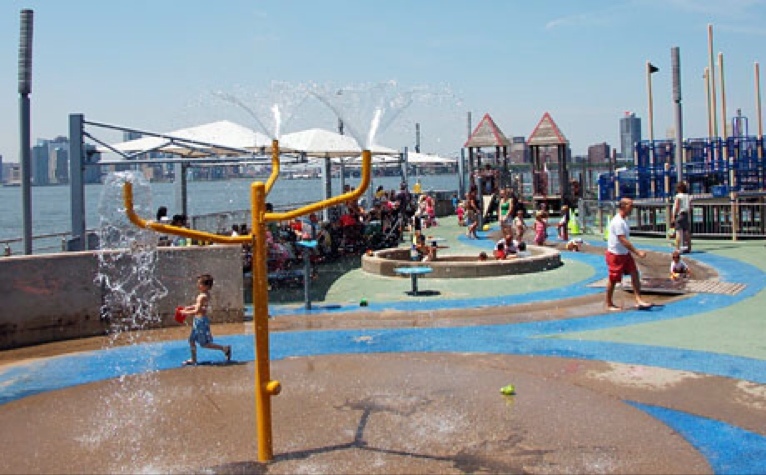 Also, don’t forget to check out the Best Indoor and Outdoor Water Parks Around Jersey City! Is it just me, or do your kiddos ask for snacks on average at least once per hour? Often this is out of boredom, so gentle distraction or change of focus is all it takes to divert attention to something else. When genuine hunger strikes, don’t just reach for the animal crackers or cheerios. Fostering healthy eating habits starts from day 1, if you are offering up fresh vegetables, fruits and real food, kids will take notice and develop a taste for it. If there is always an alternative, in the form of allegedly “healthy” snacks like sugary yogurt or animal crackers, kids to will gravitate towards those. Here’s an eye opening statistic according to the American Heart Association (AHA), by the age of 4, children on average, consume more than double the amount of recommended added sugar for their age. The next time you want to grab that vanilla or chocolate milk, or fruit yogurt cup, think twice, they have on average 18-24 grams of sugar, that’s as much as ice cream. The AHA suggests that preschoolers should consume less than 3 teaspoons (or 12 grams) daily. Children ages 4-8 should consume no more than about 4 teaspoons a day (or 16 grams). As your child grows into pre-teen and teen years, and caloric range increases, the maximum amount of added sugar included in a daily diet should be approximately 5 teaspoons of added sugar (20 grams). When kids do indulge in sweet sugary treats, which they SHOULD, just be conscious of it and balance the rest of the food for the day with healthier options offering up loads of vegetables and lean proteins. Moderation is key! ErinRose Baldry is an ACE Certified Personal Trainer, fitness instructor and food and nutrition specialist. She is passionate about exercise, cooking and sharing her knowledge to help and inspire others. If you have any questions, suggestions or feedback about nutrition, recipes, or getting your fitness on, please reach out!